Television following in Cameroon has grown over the years as the number of local channels increases and paid cable TV connection made more accessible to low income earners. Today, soap operas retain the attention of many Cameroonian women, with both local and foreign channels literally competing for attention with the number and quality of such films they offer. As a result, many women have literally become addicted to watching soaps. According to Florence Bilaga, a Yaounde-based journalist, soaps are preferred by women because they deal with common gossip subjects such as love, family rivalries and stories of beautiful poor girls who become great because of who they marry. The films also handle the plight of children who are abandoned by one of their parents only for them to become prominent in life. Such a situation often obliges the negligent parent to return, asking for forgiveness on their knees. “These stories enable women to keep their conversations alive as they try to predict what will happen next,” explained Bilaga. “Time for popular TV soaps in many Cameroonian homes these days is time of concentration. Even little children who were crying before tend to pay attention,” she added. Nyimekong Adeline, a cleaner with a Yaounde-based media company, attributes the popularity of soaps to their ability to handle daily societal concerns. “They teach lessons that enable people to live in harmony with their families and communities, while also offering tips on the things and type of company to avoid,” Nyimekong noted. Among the several television soap operas currently running in Cameroonian homes are “Rumble” on Cameroon Radio Television, CRTV from 9 pm, “Bad Angel” from 7 pm and “La fille de ma mere,” from 8 pm – all from Mondays to Fridays. Others are “La reine blanche” on Canal 2 International on Saturdays at 7.30 pm, “La belle mère” on A+ during week days from 9 am to 10 am, and “Femmes autoritaires” on the same channel from Mondays to Fridays, beginning at 10.30 am. 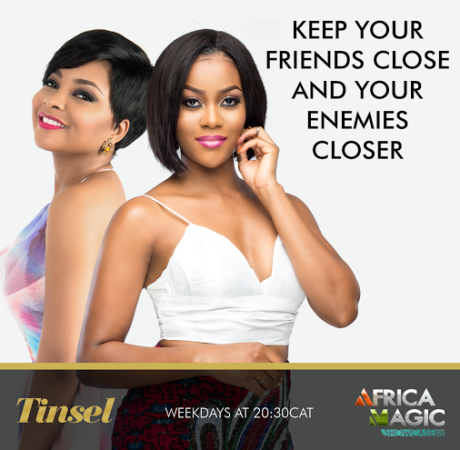 There is also “Anna Julia” on Nina TV from Mondays to Fridays as from 8.30 pm. 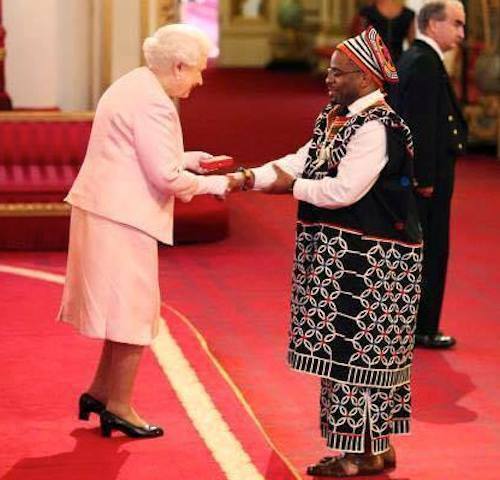 As part of activities marking Queen Elizabeth II of England’s 90th birthday, a Cameroonian has been selected to receive the Queen’s Young Leaders’ Award on Thursday, June 23, 2016, at Buckingham Palace, London. David Morfaw, 22, was selected “for taking the lead in transforming the lives of others and making a lasting difference in their communities,” says the release from the British High Commission in Cameroon. As Queen’s Young Leader, Morfaw will join other winners from 45 Commonwealth countries in London for five days of high-level engagements designed to enable them further their life-changing work. Prior to receiving the award, winners will visit Number 10 Downing Street and the UK headquarters of global social networking company, Twitter, as well as meet senior executives at the BBC World Service. They will also meet Patricia Scotland, the Commonwealth Secretary General and visit projects for the vulnerable in the UK, amongst others. This year’s Queen’s Young Leaders’ Award recipients are working on variety of issues such as education, climate change, gender equality, mental health and improving the lives of people with disabilities. Meanwhile, the application process to be among the 2017 Queen’s Young Leaders’ Award winners opens on Friday, June 24, 2016. The contest is intended for young people between 18 and 29, dedicated to creating positive changes in the lives of Cameroonians. Application details are available at www.queensyoungleaders.com. 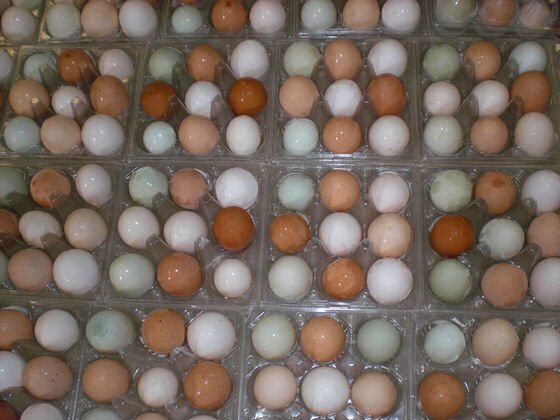 Efforts to ensure that the North West Region remains free of Avian Influenza or Bird Flu received a boost on June 15, 2016 with the destruction of 17,640 suspect eggs. The eggs were intercepted at Akum, the gateway into metropolitan Bamenda in the night of June 14, 2016 by a joint team of gendarmes and police officers. They were later destroyed in the neigbourhood of Ntarinkon, Bamenda, following the June 3, 2016 order by the Governor, prohibiting the bringing in of poultry and poultry products into the North West Region. The 17,640 eggs, worth 1,164,000 FCFA, were packaged in 49 cartons. The taskforce on enforcing the Governor’s order supervised the destruction, with the Governor’s representative, Vivian Nama Tabod, leading. The North West Regional Delegate for Livestock, Fisheries and Animal Industries, Dr. Atanga Heinendes, stressed the commitment of technical services to bar the way to Bird Flu. He urged the public to stand by government’s efforts against the virus because it is cheaper to prevent than to confront the virus when it takes root. Vivian Nama Tabod explained that the Governor’s order prohibiting the bringing in of poultry products into the region was a healthcare measure to ensure that the area remained free of Bird Flu. She warned against any collusion with public transport drivers, reminding members of the public against the legal consequences. Pig farmers and butchers have been cleaning up their environment and workplaces to give a better image to their businesses. Disinfecting slaughtering corners, pig styles and slabs regularly with caustic soda, inspecting carcasses before sale and selling in clean environment is a must for avoiding any contamination. According to pig butchers and farmers in the Wouri Division, hygiene and sanitation are passwords for the pig sector that is increasingly attracting customers. In times past, it was common to see makeshift pork slabs along the street, selling to naive customers who cared less about the hygienic conditions of the pork. Today, veterinary doctors do not only confiscate such carcasses that are unfit for human consumption, but destroy them on the spot. In all the subdivisions in Wouri, there exists legal slaughter corners where a veterinary team inspects the carcasses before they are declared fit for consumption. In the Douala II municipality where about 120 pigs are slaughtered daily, animal health staff ensure hygiene in the lone slaughter corner and that the animals are in good health. Pork dealers now practice thorough hygiene and sanitation following the crisis in the poultry sector that killed thousands of table birds in the Centre Region. 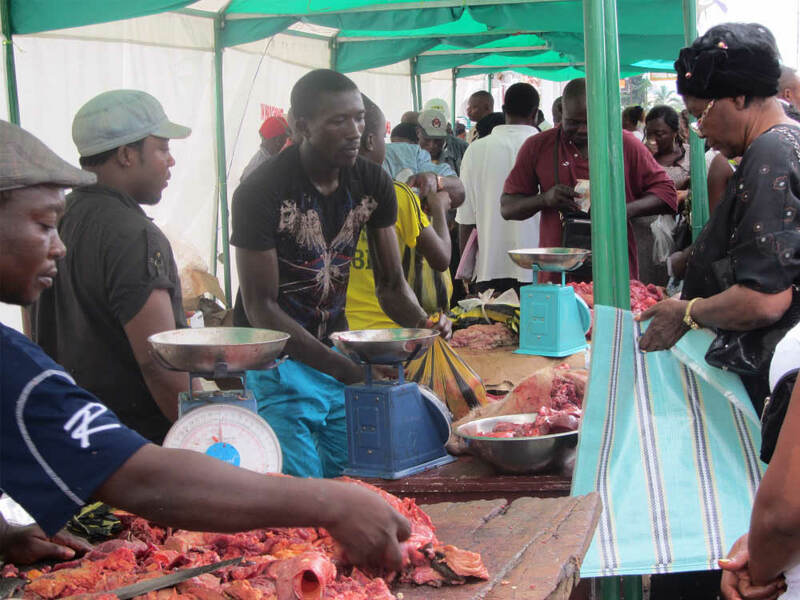 Roger Fogang, the Pig Butchers’ President in the Douala II Council Area, restated the importance of hygiene: “We carry out regular and compulsory cleaning of the market once a week. I also make sure that all pig butchers keep their surroundings and slabs clean and put on white jackets to give dignity to the profession,” Roger Fogang explained. On the other hand, veterinary officers ensure that butchers acquire medical certificates,” he explained. At a recent meeting with over 400 pig dealers in Wouri, the Divisional Delegate for Livestock, Dr Guy Mimbang, cautioned them to avert epidemic outbreaks by being ready to compete with modern butchers in supermarkets. FORMER Chelsea and Everton striker Samuel Eto’o was married at a ceremony in Italy on Tuesday afternoon. The 35-year-old married his long time partner Georgette Tra Lou at a church in Stezzano, a small municipality 25 miles northeast of Milan. The couple have been together for more than a decade and have five children together. Eto’o proposed in July 2014 with a €500,000 diamond ring, according to reports at the time. Former Barcelona captain Carles Puyol was among the guests at the ceremony, as was former Inter Milan owner Massimo Moratti. 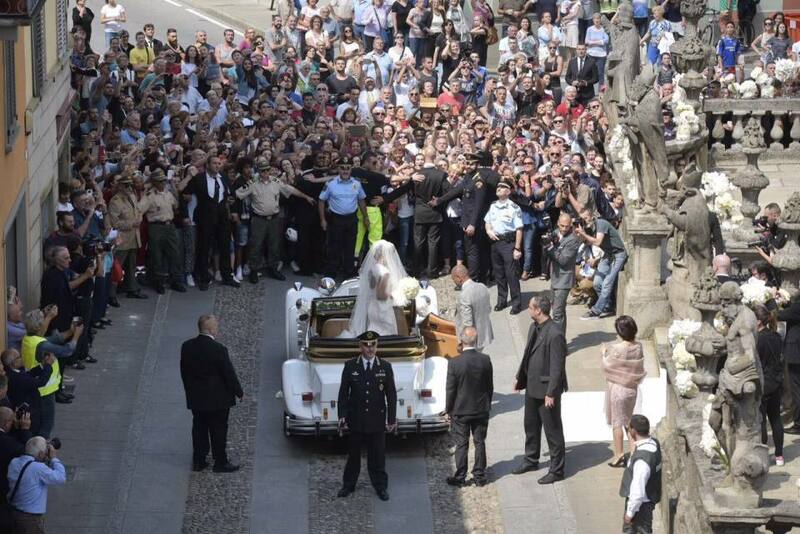 Hundreds of people spilled into the streets of the small town to watch wedding guests arrive. Dressed in a grey three-piece suit with a houndstooth waistcoat and black shoes, Eto’o drove himself to the church – the Chiesa di San Giovanni Battista. He arrived, rather surprisingly for someone who used to drive a £1million Bugatti Veyron to Chelsea training, in a vintage Fiat 500L. Looking gorgeous in a long flowing white dress, his bride to be made a rather more elegant arrival in a Mercedes Excalibur. The Board of Directors of the National School for Penitentiary Administration (ENAP), Buea, has resolved to enter into partnership with the Ministry of Higher Education to foster quality training for those in charge of reforming prisons. The Board equally frowned at indiscipline in ENAP and cautioned the school management to be more vigilant against unruliness, especially as a new intake is currently undergoing entrance requirements. The Board met in Buea on 10 June 2016 in its 27th ordinary session and considered cases of indiscipline. As a former colonial Prison Warder School transformed into ENAP in 1992, the worry about indiscipline in the 24-year-old school followed the recent dismissal of four students for gross indiscipline by the Minister of State, Minister of Justice, Keeper of the Seals. The Secretary of State in the Ministry of Justice in charge of the Penitentiary Administration, Doh Jerome Penbaga, sat in for the titular Minister at the meeting. The salient points on the agenda included the day-to-day running of the school, improvement of the school curriculum, the general well-being of students and staff, ENAP’s budget and its projected new site at Lysoka, Buea. Penbaga expressed satisfaction with ENAP staff and Director, Fonkem Immaculate, for working tirelessly in spite of insufficient resources. He underscored that the architectural work was on course to move ENAP to its new site at Lysoka, Buea. Board members evaluated activities and appraised the level of implementation of recommendations from the preceding 26th Ordinary Session of the Board. The Board further resolved to sign an agreement in the days ahead with the Ministry of Higher Education to foster quality training of penitentiary personnel. This falls in line with the new vision of the State regarding penitentiary reforms. The National School for Penitentiary Administration has as main mission the training and retraining of penitentiary personnel, with the Board of Directors as the highest administrative organ. It has a current enrolment of 585 students and 74 staff. The Cameroon Radio Television CRTV has started training some newly recruited journalists and reporters to work for the News and Information Channel. 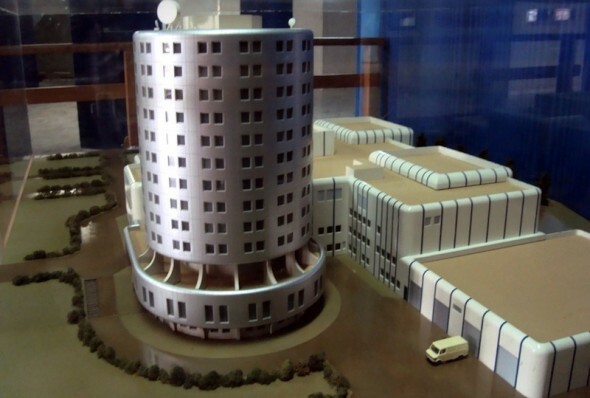 Cameroon Intelligence Report understands the 38 beneficiaries will be trained for nine weeks on news coverage, treatment, editing, and broadcasting at the CRTV Audiovisual Centre in Ekounou- Yaounde. 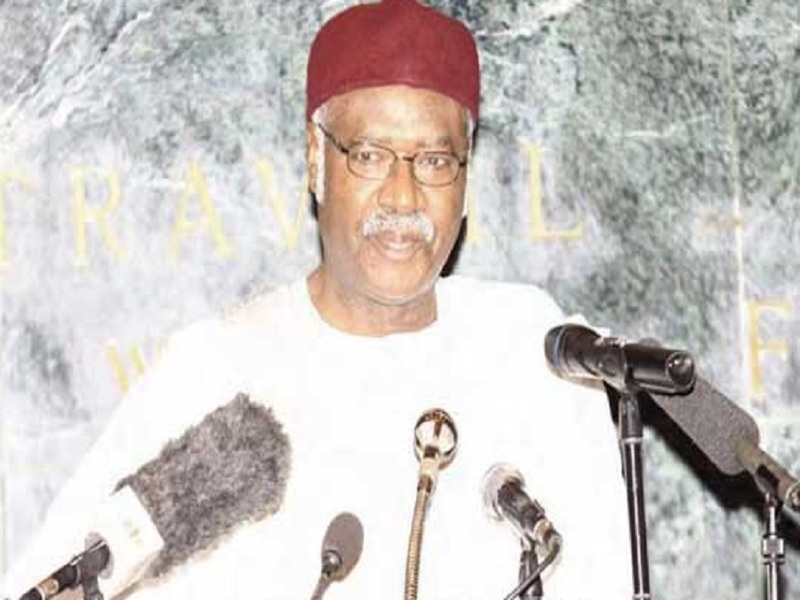 In a typical CPDM pattern, the Minister of Communication Issa Tchiroma Bakary together with CRTV’s General Manager Amadou Vamoulke, have urged the new comers to be diligent as the corporation awaits them with excellent results. 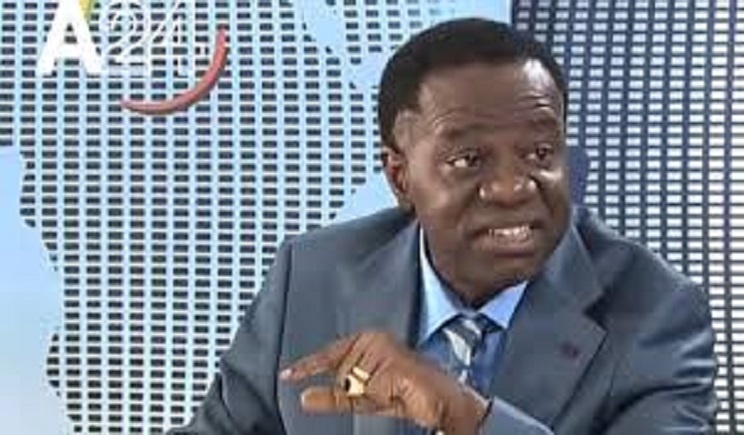 The News and Information Channel is one among the six new channels of CRTV created purposely to provide news and information from home and abroad. It will effectively go operational in 2017. Two thousand Youths of the Penka Michel Subdivision of the West Region have received their National Identity Cards free of charge. The donation was made by an economic operator native of the Subdivision Guillaume Mbakam. 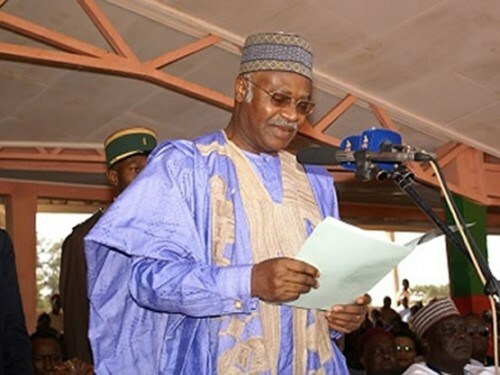 While handing the official certificates, Guillaume Mbakam urged the youths to be responsible citizens as they use the documents for official purposes and others. The natives including beneficiaries lauded the great initiatives saying that it has come a long way to ease their travelling and participation in official examinations and other civic responsibilities. The ID cards were produced alongside voters’ registration cards for youths ranging from 20 to 25 years. The donor and his entourage visited the identification and electoral offices which will thereafter host the campaign indoors. Prime Minister Philemon Yang will today Tuesday, June 14, in the Yaounde University 1 campus inaugurate the first movie theater named “Channel Olympia”. The project was sponsored by the Vivendi group. “Channel Olympia” operates a multipurpose auditorium and film screenings halls with a capacity of 300 seats for shows or projections including 3,000 seats for shows and outdoor concerts. Vincent Bolloré, is in the Cameroonian capital to participate in this ceremony. Ever since the consortium of CPDM crime syndicates took over the running of political affairs in Cameroon, the textbook market has been immersed in a veritable mafia system where education authorities, publishers including school officials come together to enrich themselves at the detriment of parents each school year. Books in the school curriculum are increasing and regularly change and the prices too are exorbitant. This disastrous situation was recently brought to the attention of the Prime Minister and Head of Government by MPs. Correspondingly; Prime Minister Philemon Yang on the 10th of June 2016 unveiled an action plan in response to concerns regarding textbooks. Philemon Yang announced an unprecedented free distribution of Mathematics books to the Basic Education sector students. 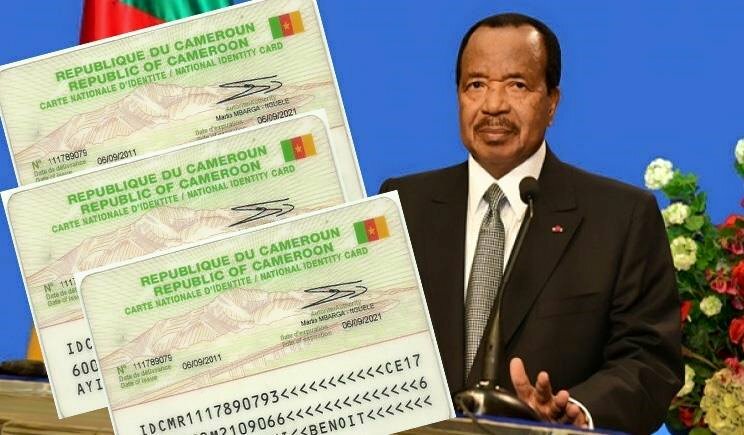 Cameroon Intelligence Report gathered that the Government has already implemented a number of measures including the creation of school libraries, the construction of multimedia centers and installing digital documents. The operation for the next school year will cost Cameroon, two billion 260 million FCFA.